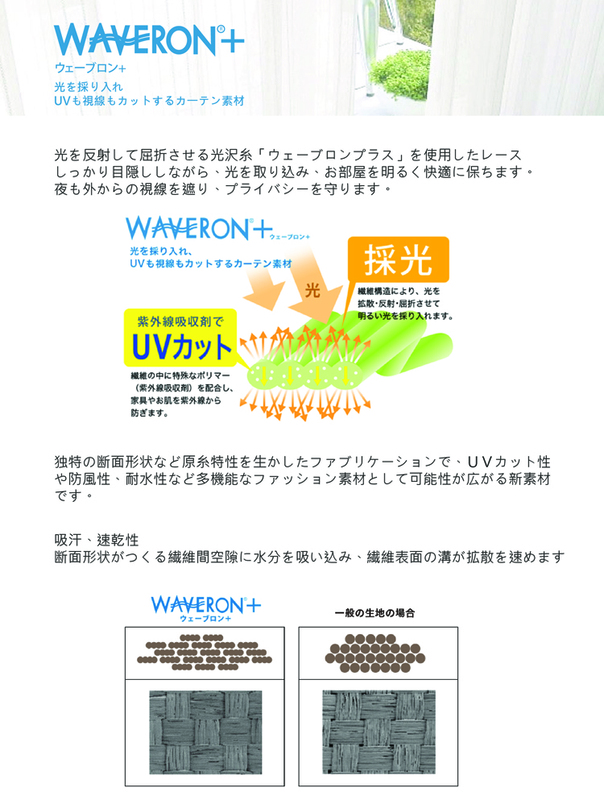 Waveron® fabric combines a 4-ball-like fibre into a flat shape which ensures good masking ability on the fabric surface, increasing the UV reflect properties. Waveron® fabric is potentially used for a versatile apparel items. It’s characteristics included light impermeability, UV and wind protection. The surface material of the fiber produces an accelerated diffusion reaction between the voids, so that the water absorption profile shape also allows the fabric to be highly breathable.